Off the main road beside the river in Tongland. 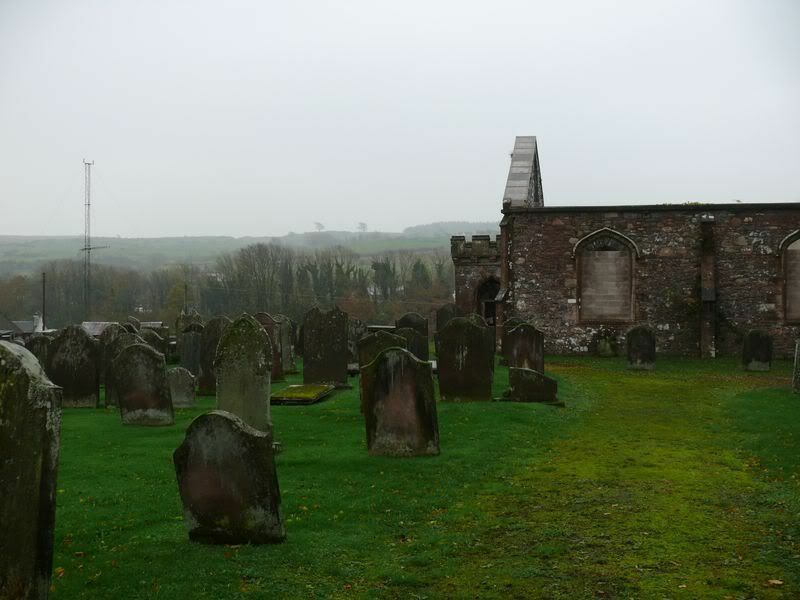 This churchyard contains the small ruined church of Tongland Abbey and the larger Tongland church, now also ruined, believed last used for worship in 1940s and roof removed and building blocked up for safety in 1970s. The churchyard is still used for burials. 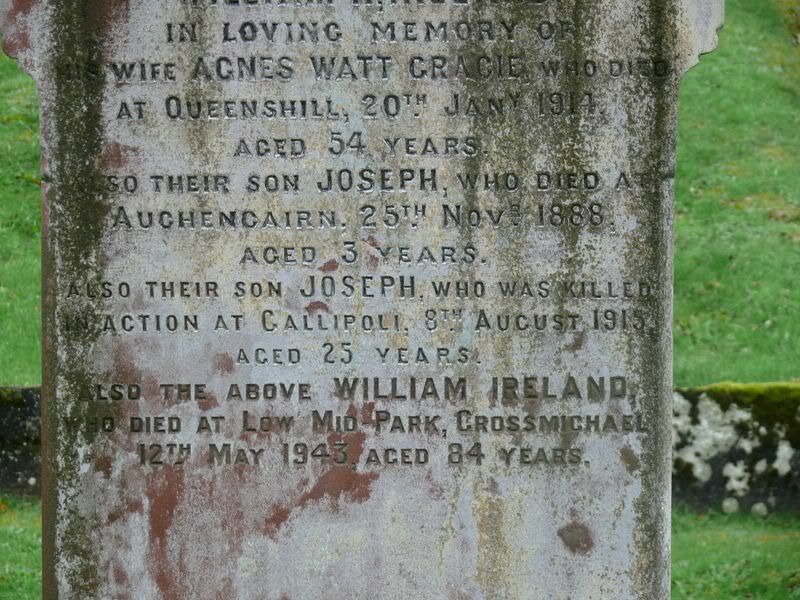 Additional information: Son of James and Mary Elizabeth Henderson, of Castle Douglas. Grave/Memorial Reference: Sec. C. Grave 32. 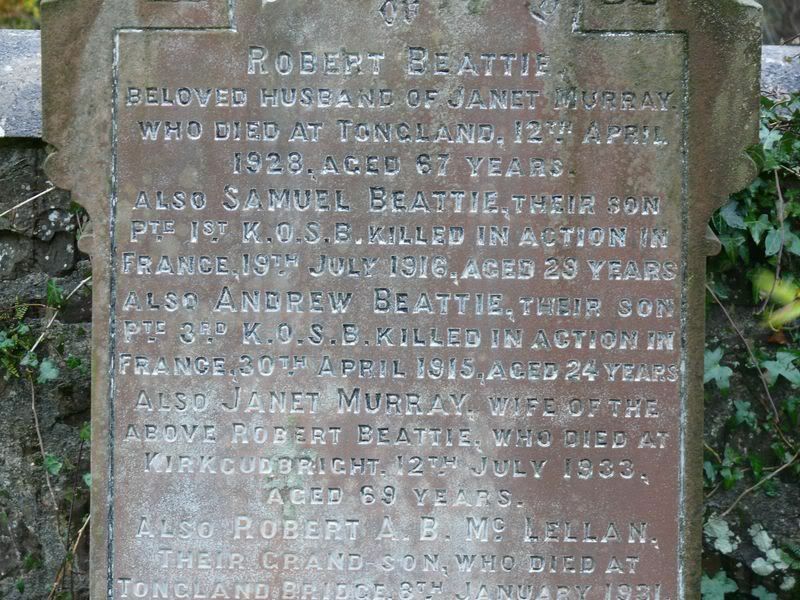 Additional information: Son of Robert and Janet Beattie, of Rose Cottage, Tongland Village, Kirkcudbright. Grave/Memorial Reference: II. C. 21. 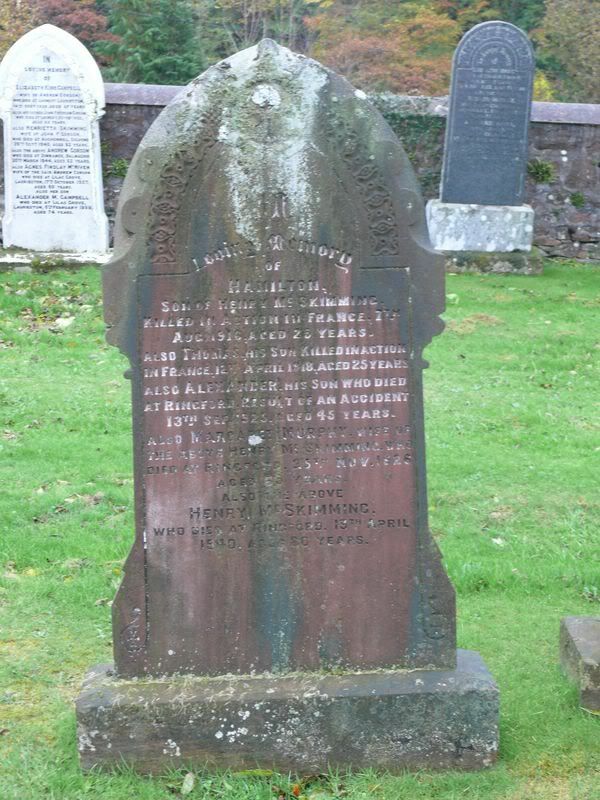 Additional information: Son of Robert and Rachel Clark, of Kirkcudbright. Grave/Memorial Reference: 1. B. 6. 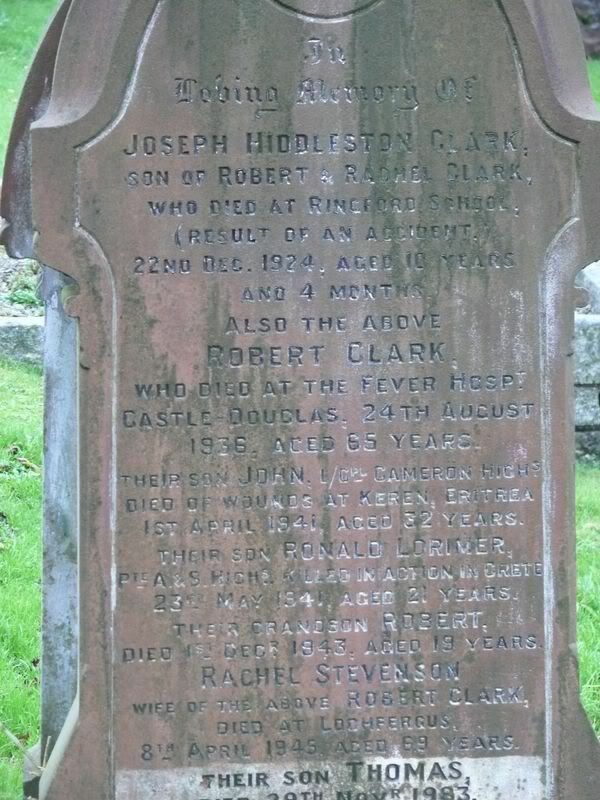 Additional information: Son of Robert and Rachel Steveson Clark. 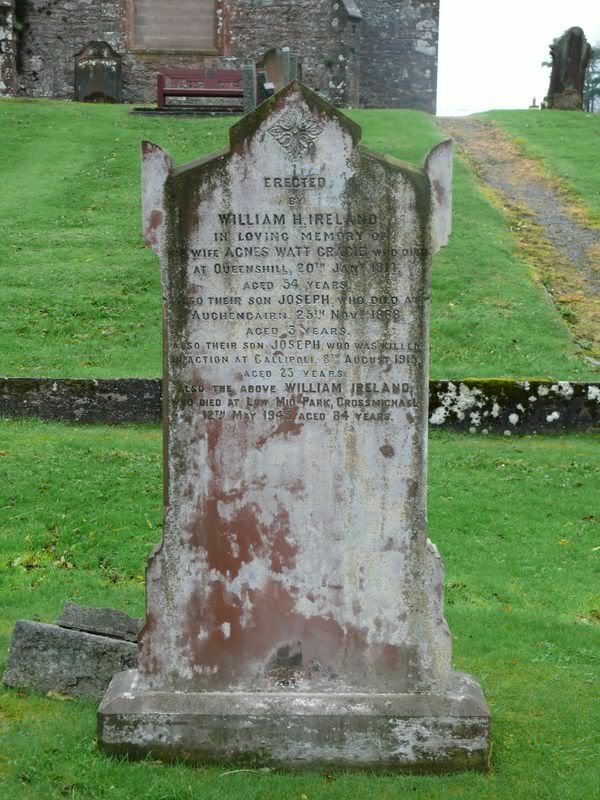 Additional information: Son of William Ireland, of Queenshill, Ringford, Kirkcudbrightshire, Scotland. 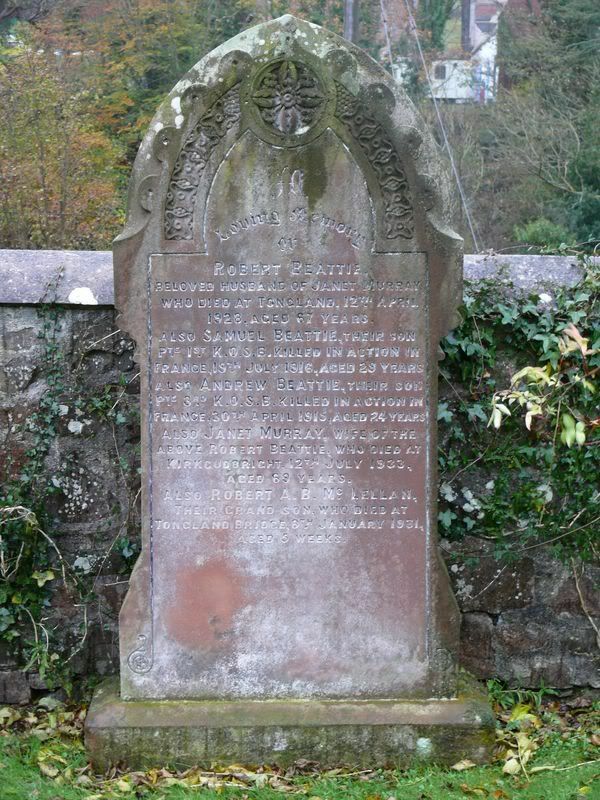 Additional information: Son of Robert and Sarah Little; husband of Annie Little, of Ringford, Kirkcudbrightshire. Grave/Memorial Reference: 15. F. 1. I will post these together as they are obviously a family group. 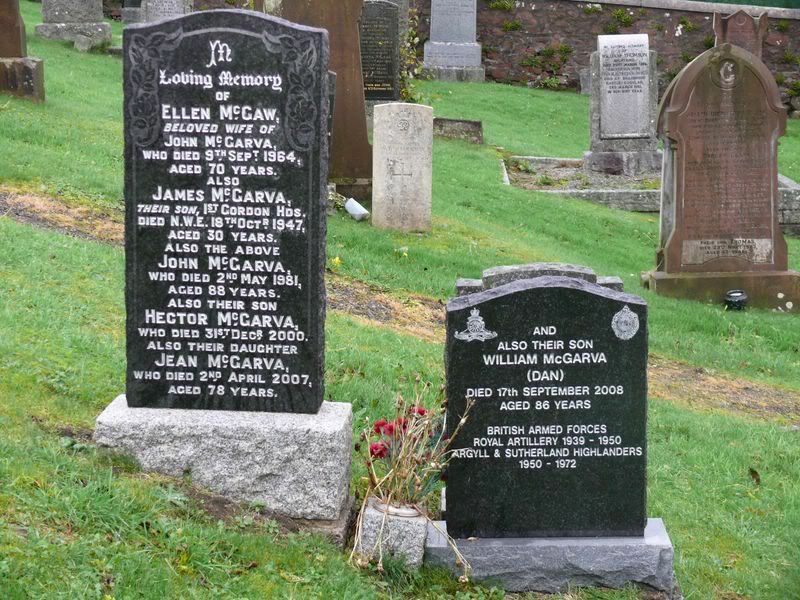 Additional information: Son of Ellen McGarva, of Ringford, Kirkcudbrightshire. Grave/Memorial Reference: 3. C. 9. 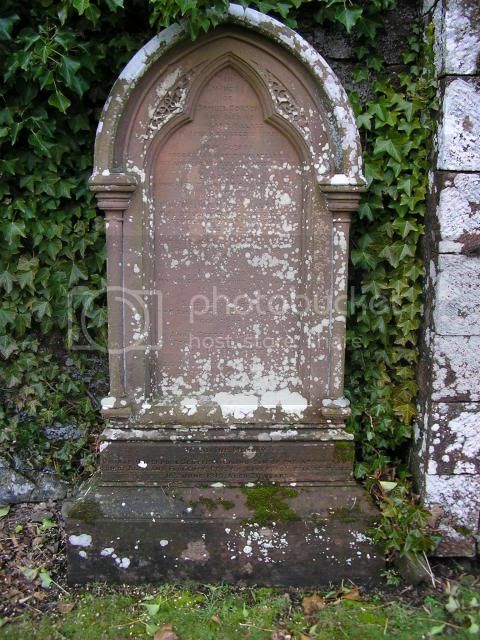 Additional information: Son of Mr. and Mrs. Robert McKie, of Campbelton, Twynholm, Kirkcudbrightshire. Grave/Memorial Reference: VII. D. 7. 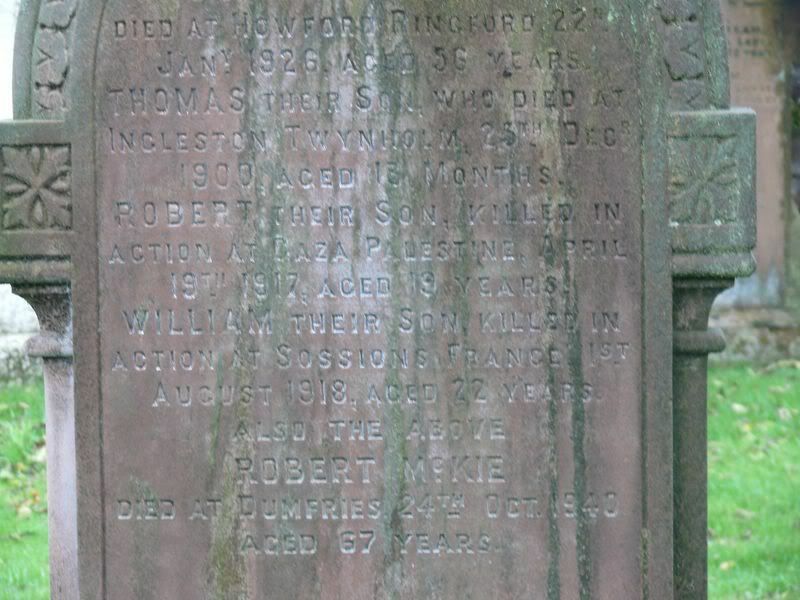 Additional information: Son of Mr. and Mrs Robert McKie, of Campbelton, Twynholm, Kirkcudbrightshire. 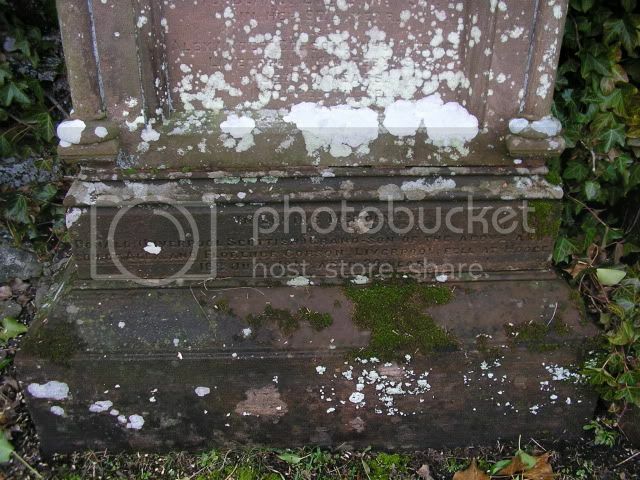 Grave/Memorial Reference: X. E. 4. 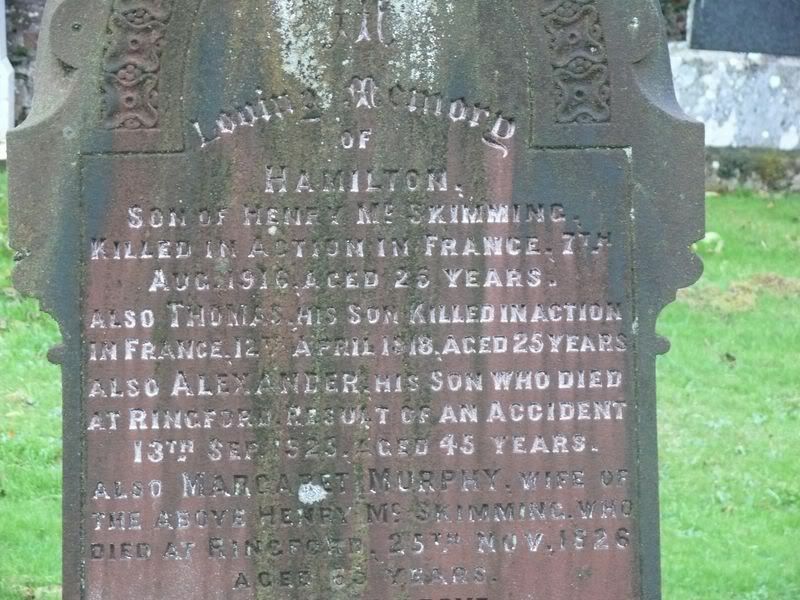 Additional information: Son of Mr. H. McSkimming, of Ringford, Kirkcudbrightshire. Grave/Memorial Reference: III. C. 12. 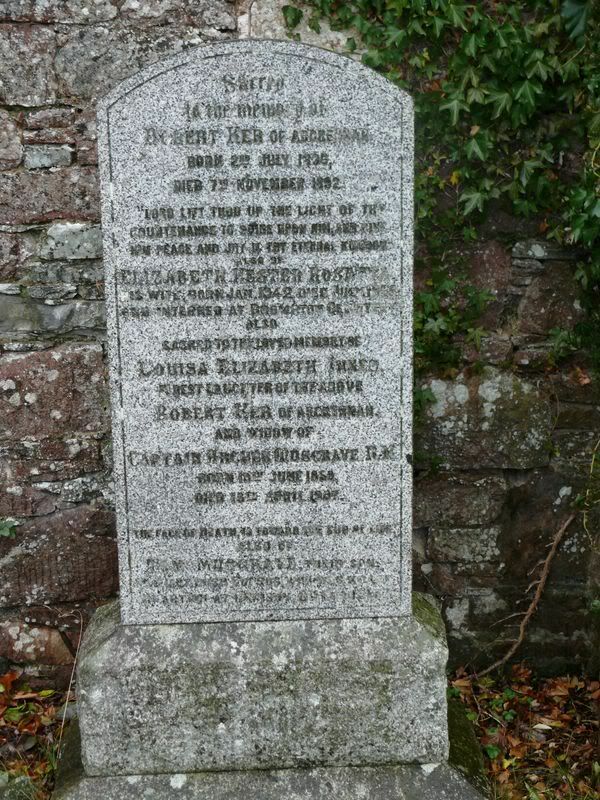 Additional information: Son of Mary Radley, of Ringford, Kirkcudbrightshire. Grave/Memorial Reference: Coll. 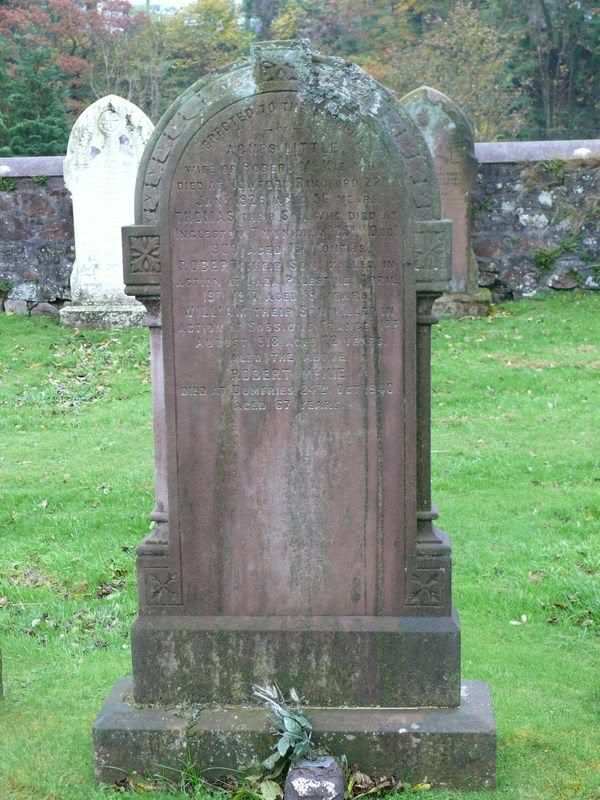 grave 4A. B. 11-15. 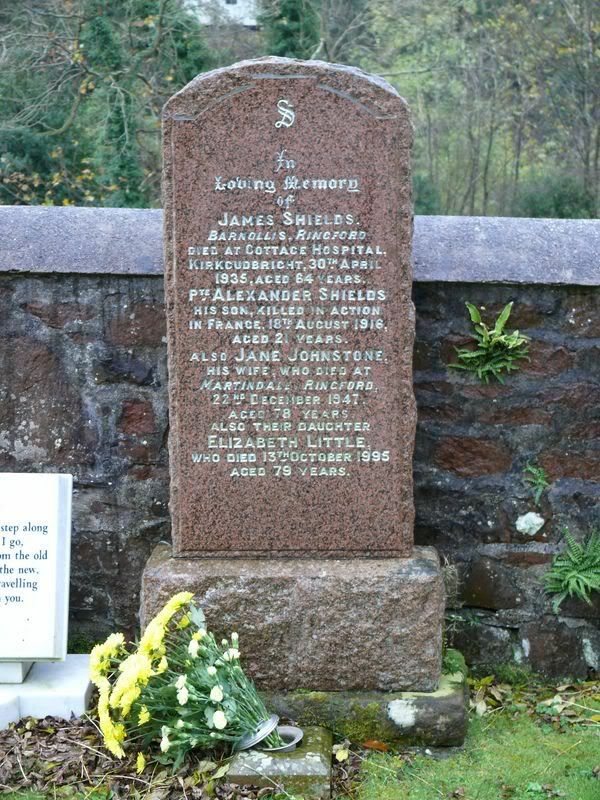 Additional information: Son of James Shields, of Barnollis, Ringford, Kirkcudbrightshire. Grave/Memorial Reference: XI. G. 9. JOHN MAYES BLACK, Major, Indian Army. 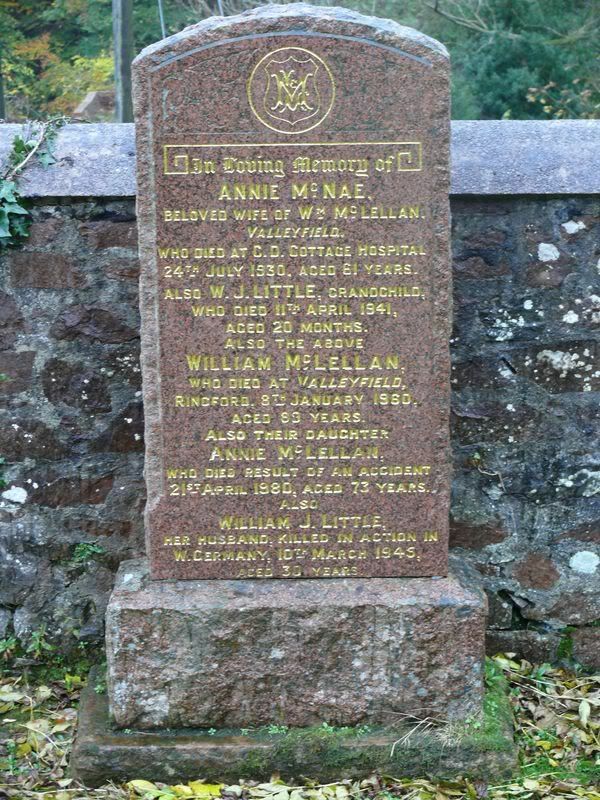 Died 21 March 1955. Aged 63. 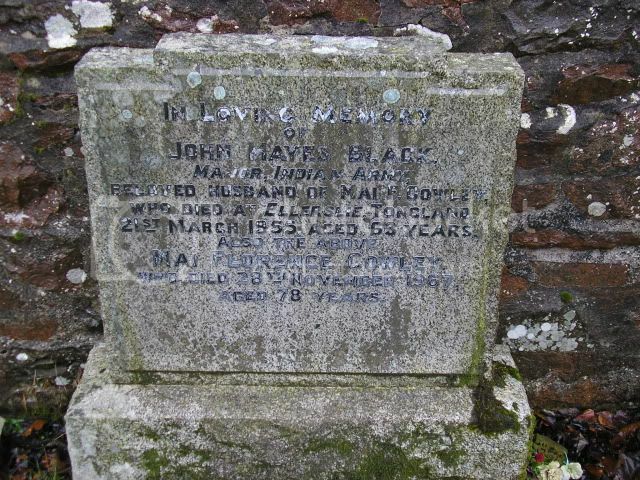 Although not mentioned here, John was the father of Lt. J. D. Black, 2 SAS. Grave/Memorial Reference: 3. K. 13. 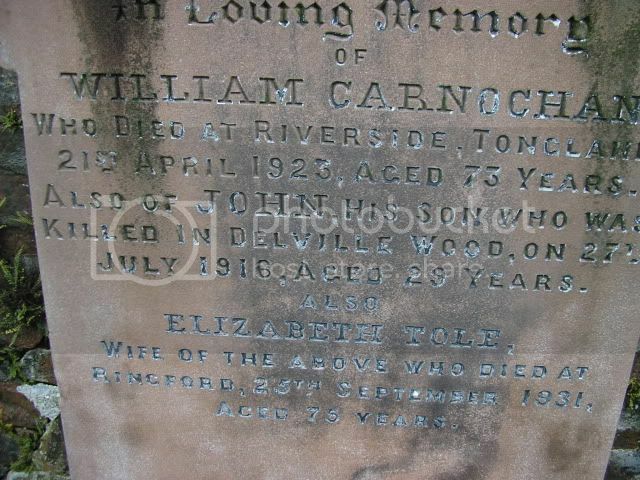 Additional information: Son of William and Elizabeth Carnochan, of Barcaple, Ringford, Kirkcudbrightshire. 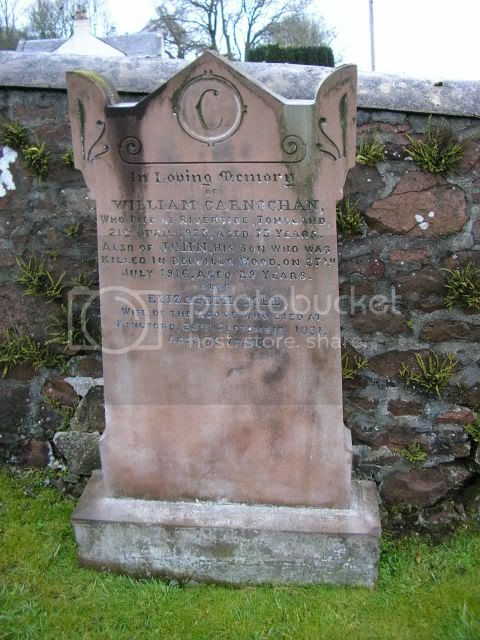 Grave/Memorial Reference: Pier and Face 8 C 9 A and 16 A. Additional information: Son of Alexander and Florence Corson, of 45, Granby St., Liverpool. Grave/Memorial Reference: Panel 4 and 6. 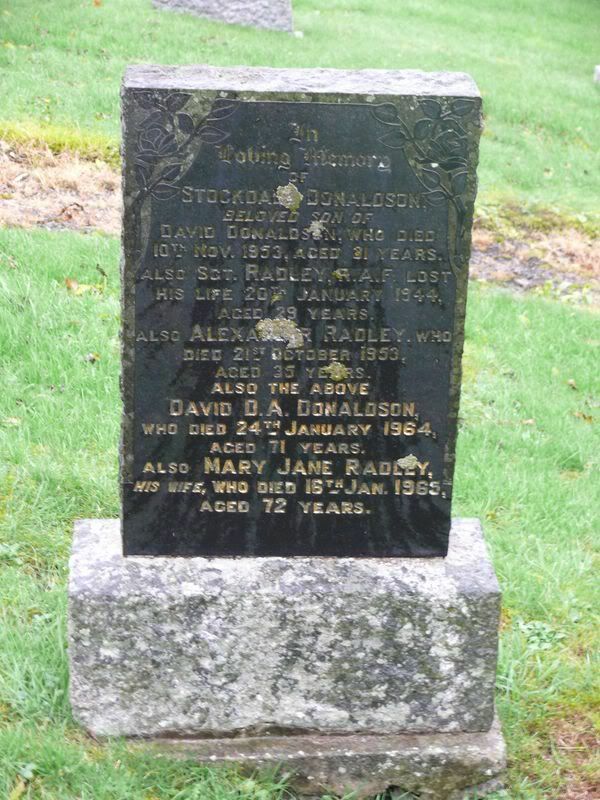 In loving memory of Donald (Liverpool Scottish), grandson of the above and son of Alex’r. and Florence Corson, Liverpool, fell at Hooge, 16th June 1915, aged 20 years. Donald is not named on any local war memorial. Donald was employed in the Rylands warehouse in Liverpool when he enlisted in September 1914. He joined his battalion in Belgium in January 1915 and was wounded at Ypes in March. He spent 6 weeks in hospital in Rouen before returning to his battalion on 16 May 1915. A month later he was killed. 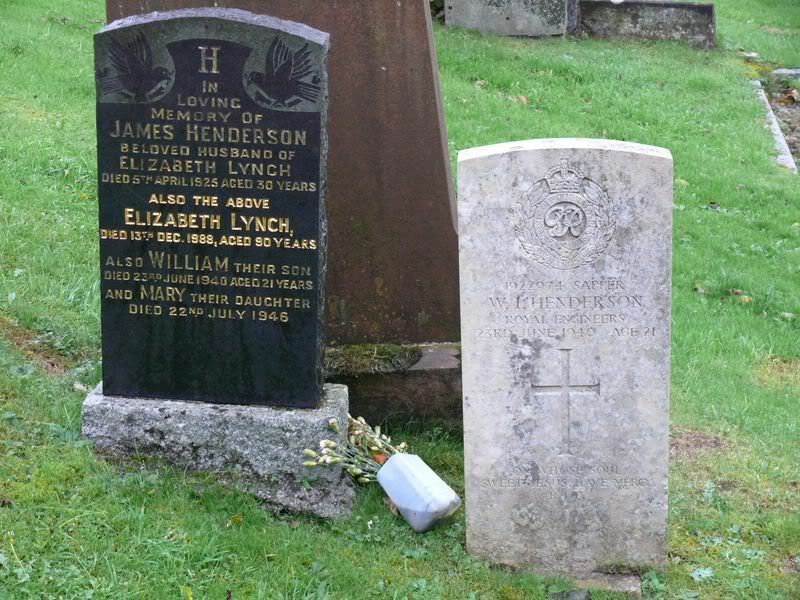 Born 1895 in Toxteth Park, Liverpool as John Alexander Donald Corson. 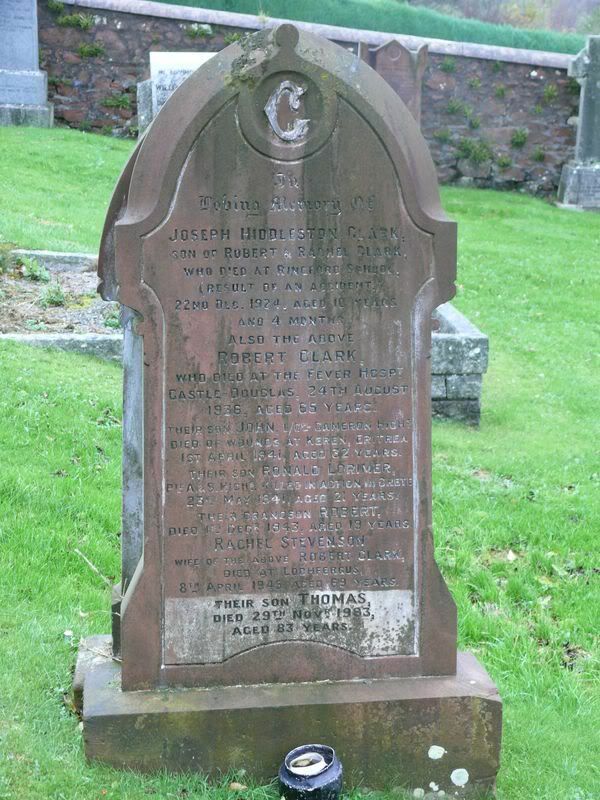 Son of Alexander and Florence Jackson (Melling) Corson of 45 Granby Street, Liverpool. Grandson of John and Marion (Alexander) Corson of Tongland.